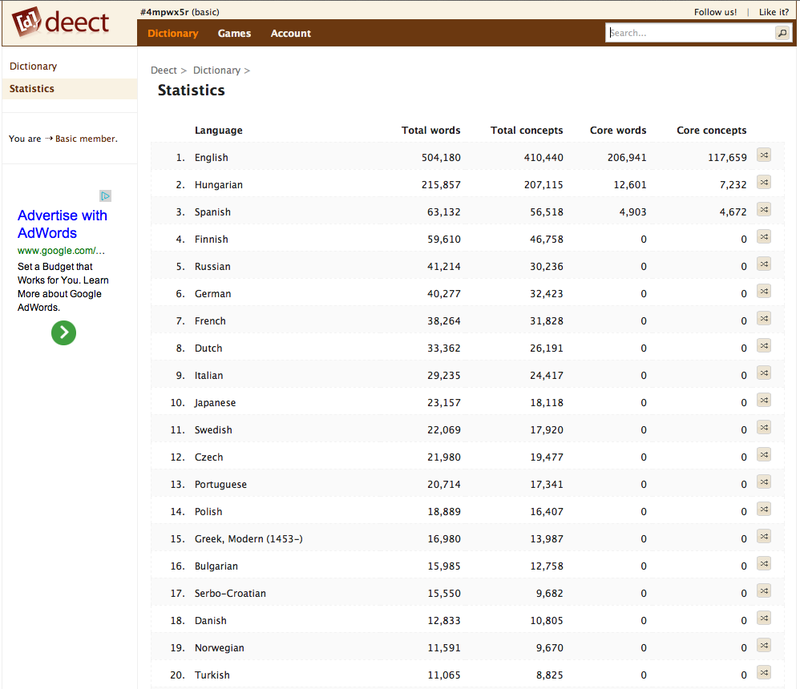 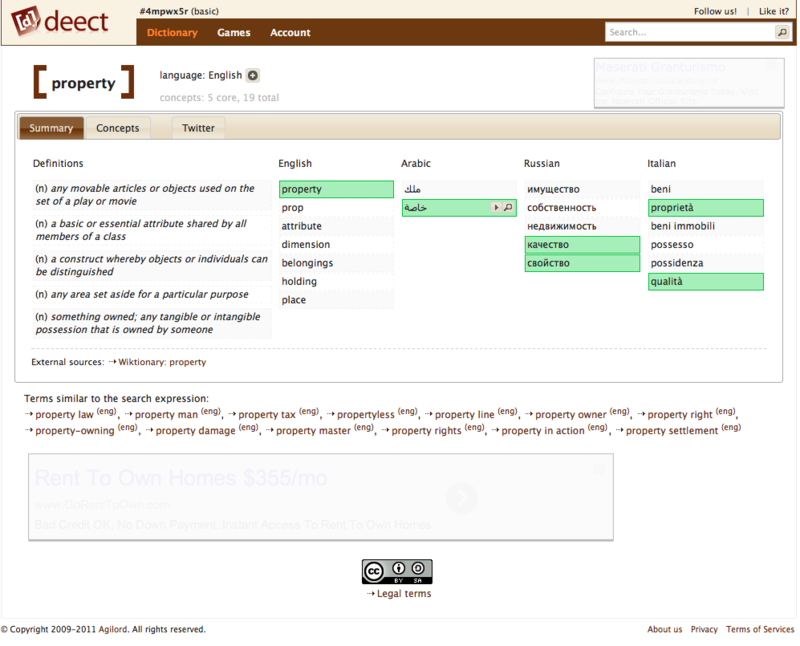 Deect was a multilingual dictionary and language learning site (2009-2013) developed by István Soós. 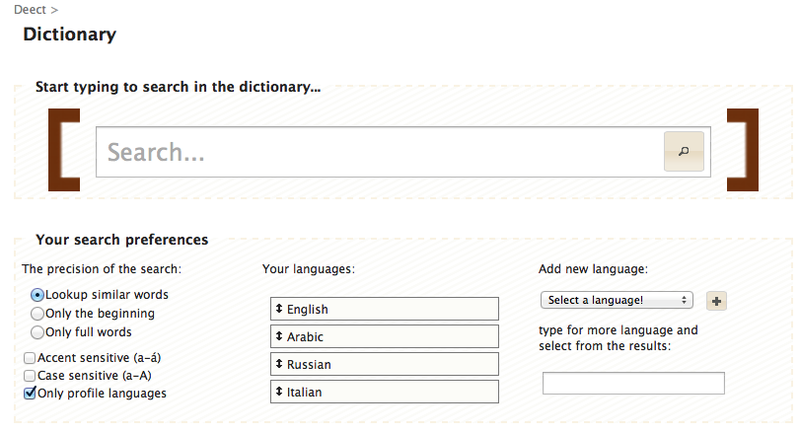 The dictionary was able to search in any language, and translations were provided through concepts. 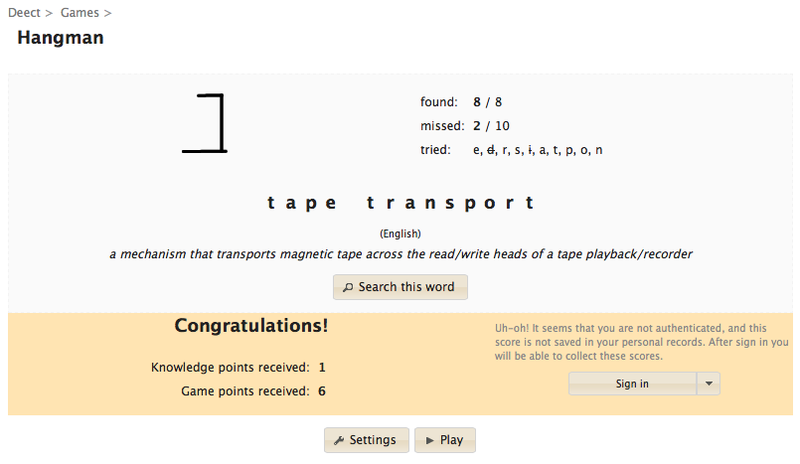 I have preserved a few screenshots: 1, 2, 3, 4.